Aww peanut butter! How I love thee. Even since I was a little girl I've loved peanut butter flavored anything. I'll even just scoop a spoonful of peanut butter out of the jar and eat it. Which has freaked some people out in the past saying its like "eating a stick of butter or cup of ketchup." which I personally don't think at all. Call me crazy! 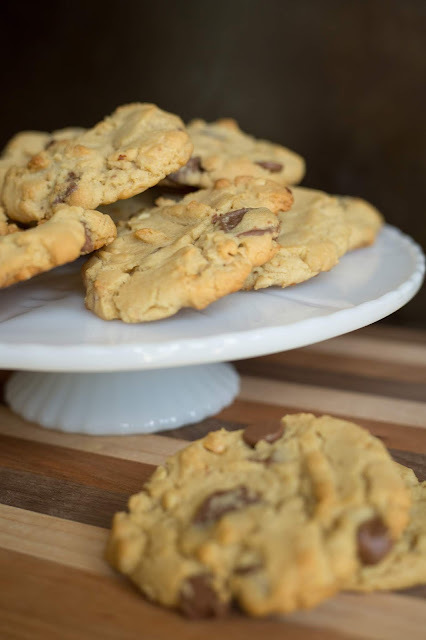 So these cookies below are a spin on my Great Aunt Edna's classic peanut butter cookie. 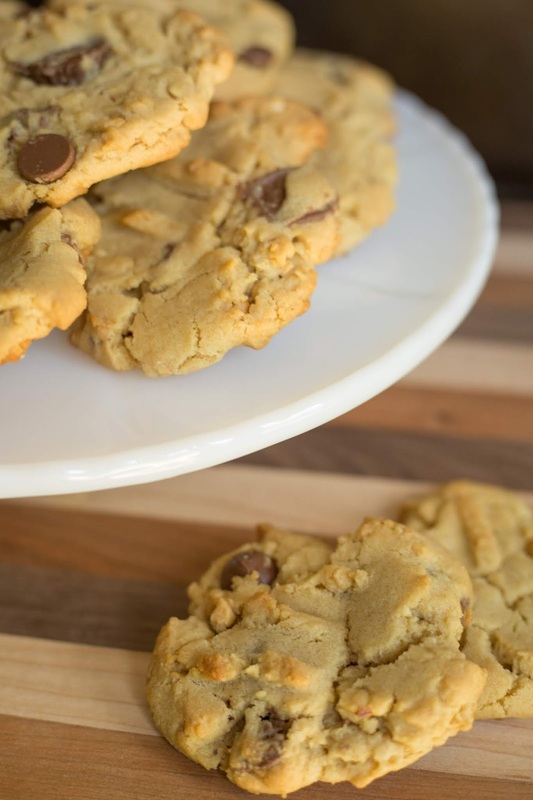 All I did was swapped out creamy peanut butter for chunky and added peanut butter cups & milk chocolate chips. You could make these minus the chocolate and they'd be delicious too. In a large bowl or stand mixer add eggs and brown & white sugar. Cream the butter and sugar then add in baking soda & vanilla. Mix thoroughly. Then start adding in your flour a little bit at a time. Once you've mixed in all of your flour add peanut butter cups & chocolate chips. 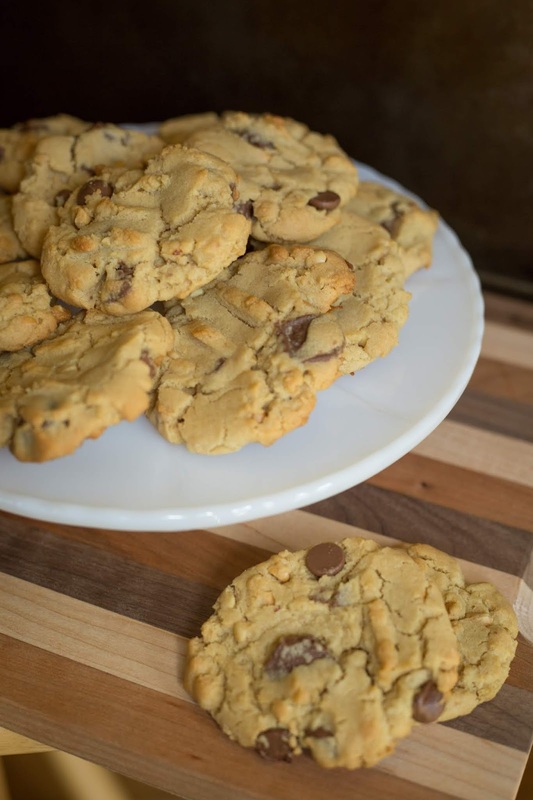 Scoop cookies onto a baking sheet roughly 1- 2 inch balls (depending how large a cookie you want.) not packing the to tight and then smash them down. Bake at 350F for 11 mins.